Why would want to use a planner? Using one just takes time and adds another item to your task list. Those people who have not used a planner and have never planned their weekly activities before would probably say this. They are those who probably have not been organized and productive in their lives. Planners are very useful and effective tools, whether it be a daily planner, a budget planner, or an appointment planner. Planning is an important strategy used by businesses and a lot of individuals to make sure that they get the best out of what they do. Planning might take up some of your time, but it will definitely save you more time than you have used for planning. 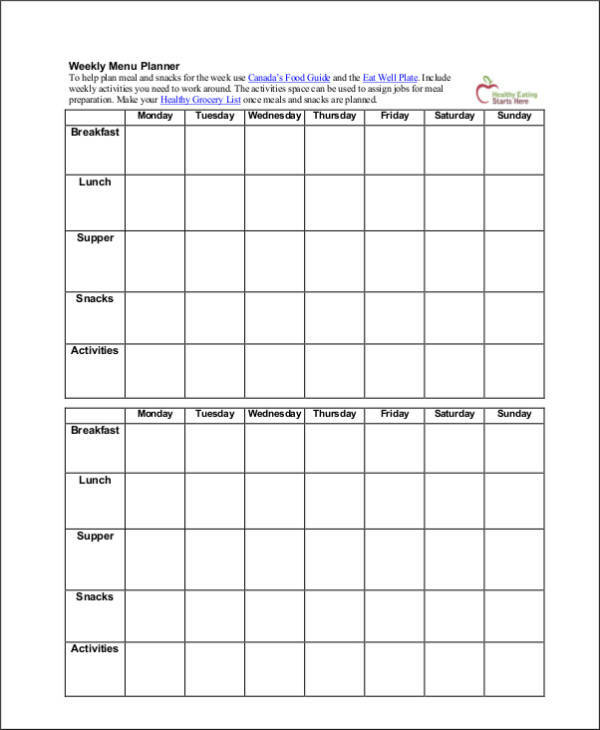 Making use of a weekly planner will help you plan your weekly activities so that you can achieve your goals. 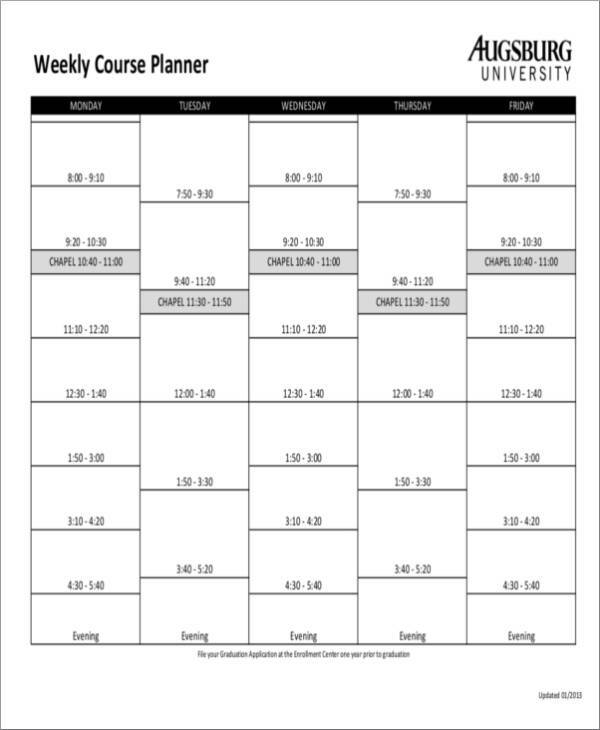 We have made 19 weekly planner sample templates available for you here for free. Downloading and using them will make your task easier and more convenient. Check them out below! Through time and as the need arises, new and different kinds of planners have been created to suit the needs of every individual. It would take forever to try and name each one of them, not to mention those planners that are yet to be discovered and created. So we bring you the commonly used planners that a lot of people have been fond of using. 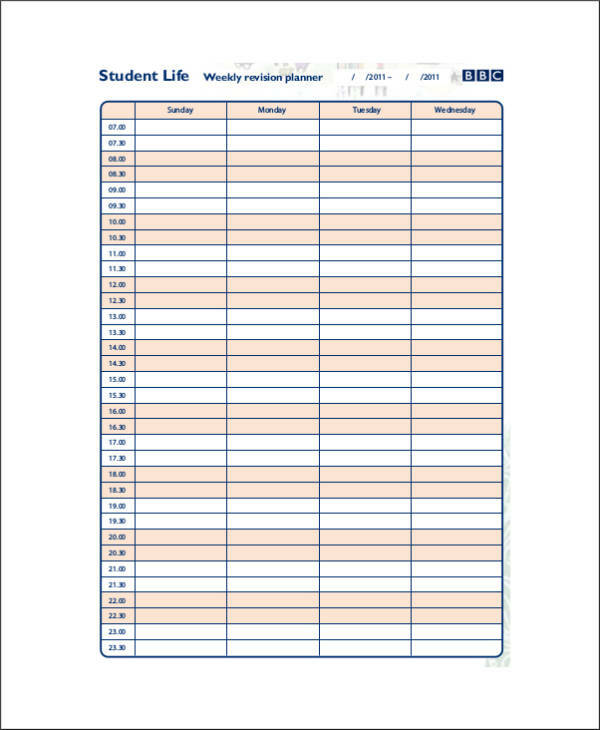 Daily Planner – A daily planner is used by individuals who prefer planing their tasks and activities on a daily basis. This is most effective for individuals or people who have tasks that change regularly or on a daily basis. 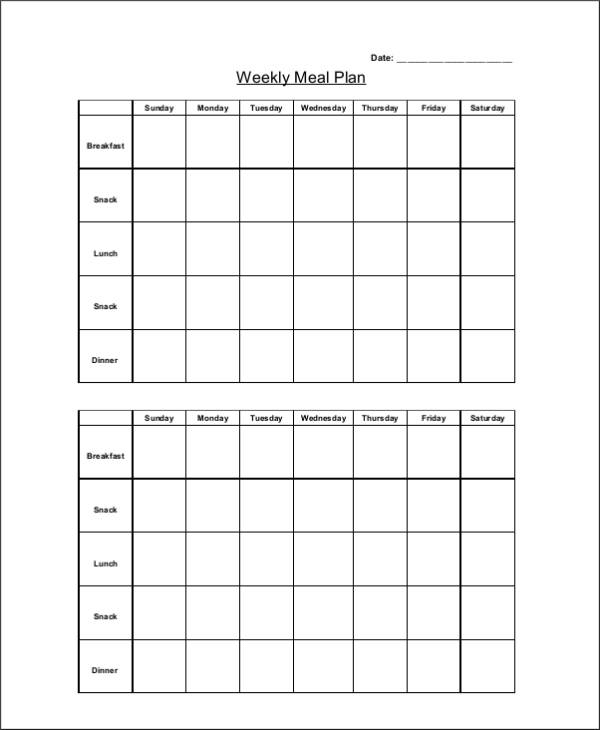 Weekly Planner – For people who prefer to plan their activities and schedules a couple of days ahead, they should take advantage of a weekly planner. 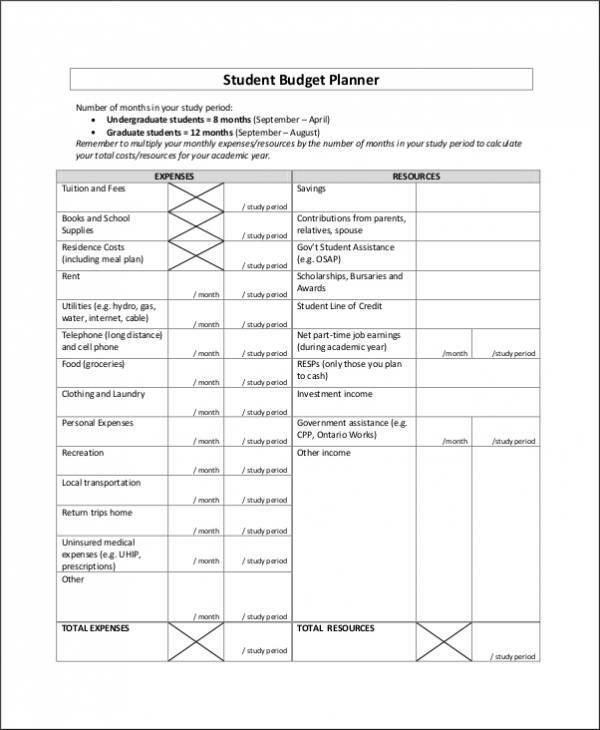 In this planner, individuals will be able to schedule tasks or activities and avoid overlapping them. It also allows them to save time intended for planning. 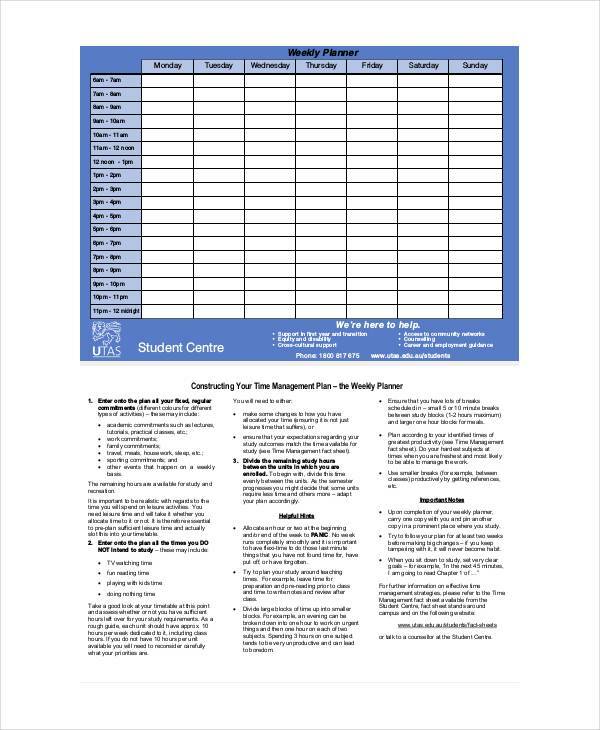 Monthly Planner – Planning and checking out your schedule for the whole month can be done with the use of a monthly planner. 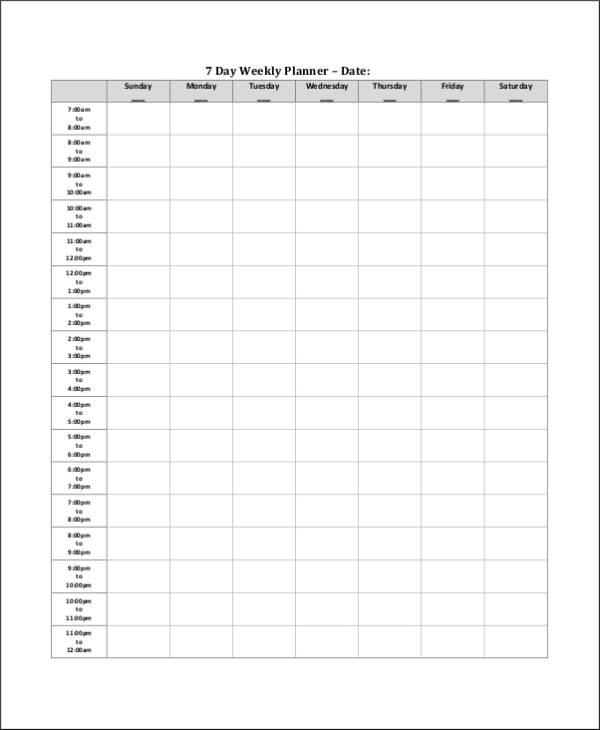 This planner helps in planning for a month’s worth of activities. It is often used by organizations and small businesses to help them check their upcoming schedules for the month. Yearly Planner – One popular yearly planner is the Starbucks planner. All of the 12 months of the year are bound in a stylish book. Although, sometimes bulky, yearly or annual planners are still being used by a lot of people. 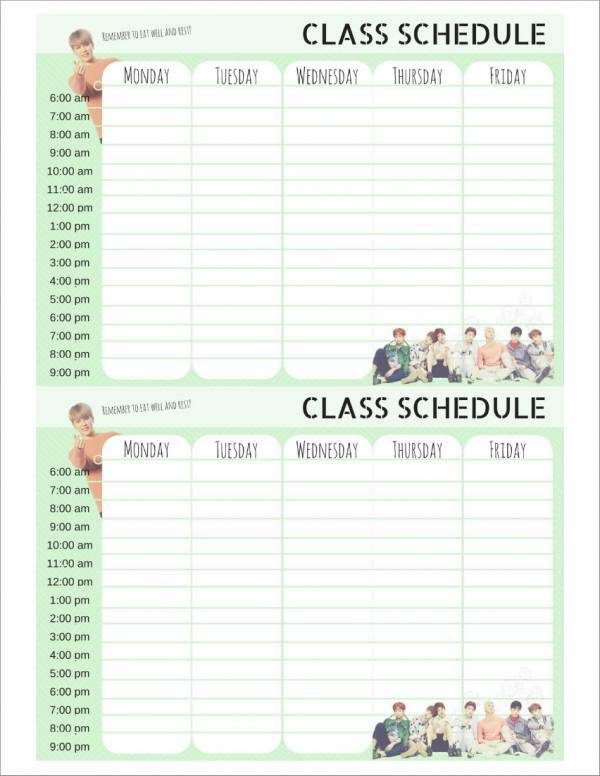 This planner is perfect for those who want to keep track of their past and future activities. Digital Planner and Online Planner – Technological advancement has led to the emergence of digital or online planners. Although paper planners are still popular, digital and online planners are making its way to the center stage. It’s compact, handy, and it has everything you need in a planner, not to mention the added features that no paper planner could do. How will you know that this type of planner is good for you? With all of the planners available in the market, you would probably find it hard to choose which one to use. There is no such thing as the best type of planner. The best type of planner for an individual is the one that makes them more productive and gives them a sense of fulfillment. Different planing styles and different personal preferences largely affect the type of planner that fits an individual. If you don’t know which one you need, then do a little experiment and use each planner the way you want. You will surely find the planner that you find comfortable to use. The best planner is one that you are comfortable using and makes you become productive. Making the user productive is one of the goals of a planner. If you still have not found the planner that best fist your needs and planning style, then try to check out the six reasons why you need a weekly planner. Reason # 1: Keeps track of your weekly activities and schedules. With a weekly planner, all of your activities and schedules for a particular week are provided and you can see them all with just a glance. This helps you keep track of what you need to do in the coming days. This way you will be able to cater to all of your appointments without missing anything. Reason # 2: Saves you precious time. Since you already have everything planned a week in advance, you do’t have to think of what to do next or the next day. You just simply check what’s in your weekly planner and you’re good to go. You only spent a couple of seconds to do that, compared to wasting an entire eternity thinking of what you need to do. Reason # 3: Your productivity will definitely increase. Now that you know what to do as you have already planned it ahead of time, you can immediately proceed to your work. More time for work will allow you to be more productive, which is what your employer always wants. Reason # 4: Helps you focus on your priorities. You can easily prioritize your schedules and tasks, and change its prioritization as you see fit. It’s pretty easy, especially when you can see them all on one page. This way you can focus on what is important. Reason # 5: Makes it easy for you to set appointments. Knowing which days of the week you are free and which days you already have scheduled makes making appointments easy and convenient. No more overlapping appointments and definitely no missed ones. Reason # 6: Helps to easily complete all of your goals. By the end f the week, you can review all that you have accomplished. It’s a good thing to be able to look back and check what you have completed so far and what goals you have successfully achieved. 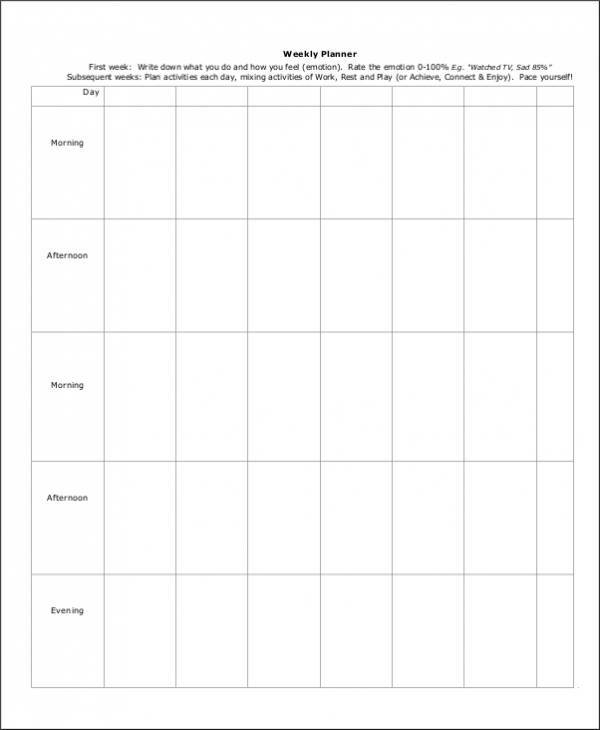 How Can You Benefit from a Weekly Planner Template? It’s fairly easy to create your own weekly planner as there are no rules on how you should make one. No page guidelines, no page layouts, and most of all, nobody will do the checking if you did this and that. As easy as it may seem, the repetitive task of creating a weekly planner once a week can be boring and tiring. 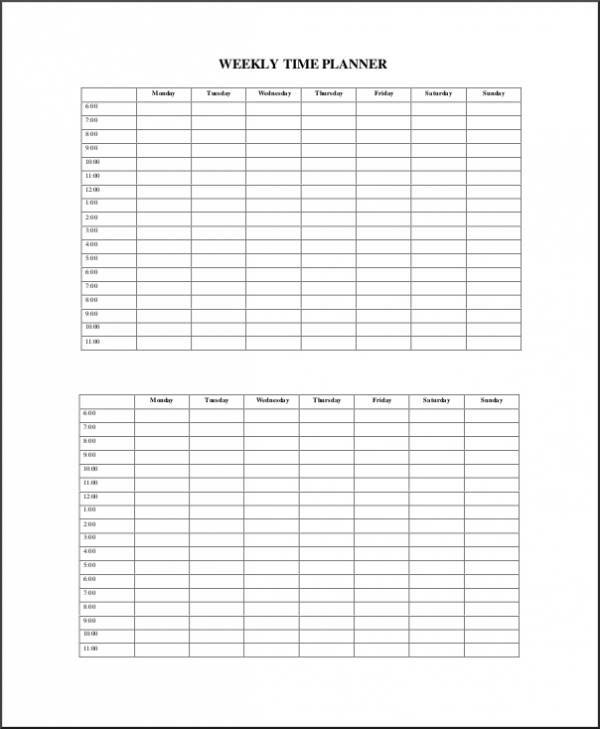 Good thing there are already ready-made and downloadable weekly planner templates online. 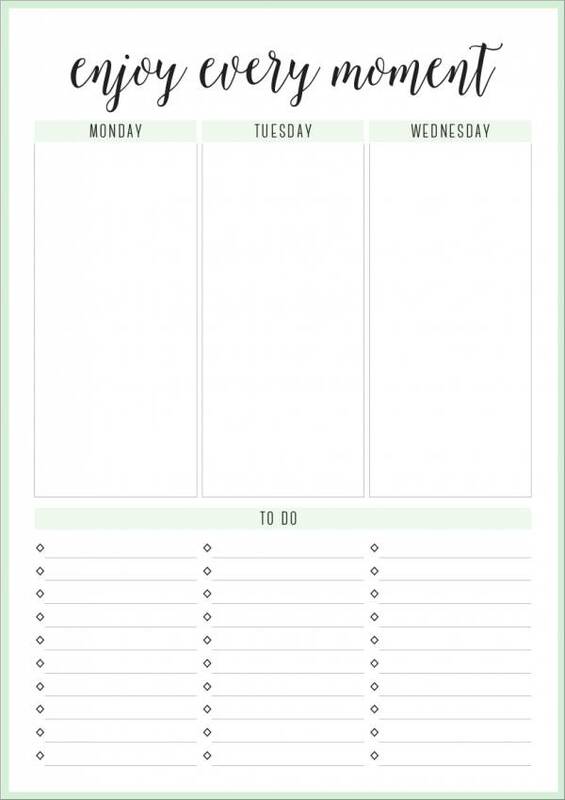 Why should you use a weekly planner template? It’s because of the following benefits. It is free. You don’t have to spend a fortune or even penny to get hold of weekly planner templates, or just about any other planner templates like an attendance planner, wedding planner, and agenda planner to name a few. It is easy and convenient to download and use. You just have to click on the download link or download button to be able to download the weekly template that you want. You don’t have to register or sign in. Downloading is that hassle free. 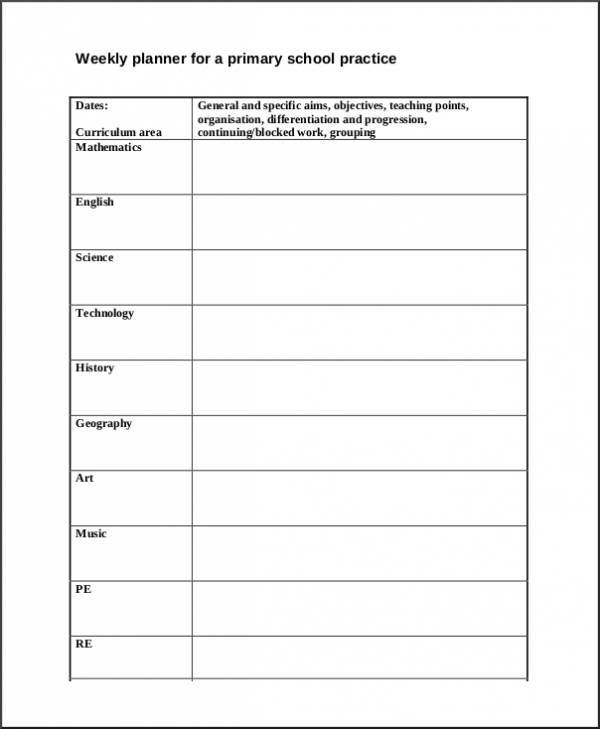 There are a lot of templates online that you can choose from. 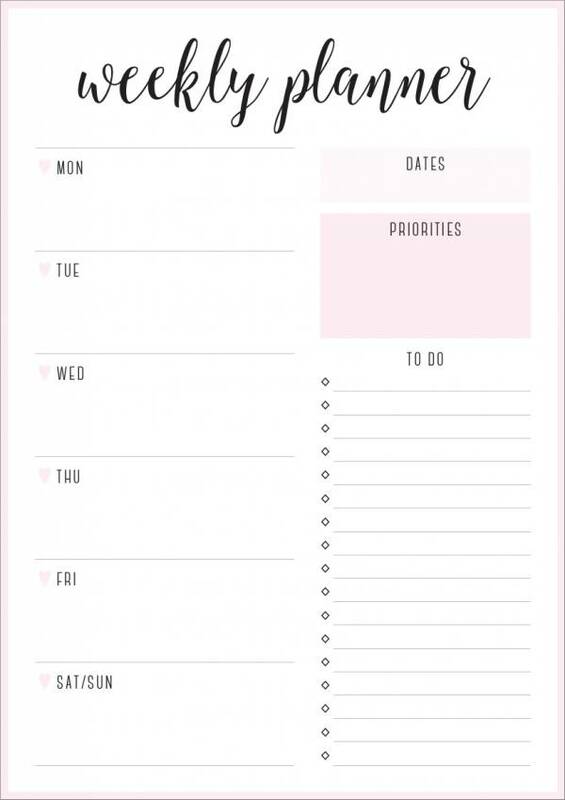 If you know how to look and where to look for, then you will definitely find the weekly planner template that you so desperately want. You might even end up having difficulty choosing which one to use because there is literally a lot. There are no rules as to how you want to make and use it. It’s like your freedom wall. There is no right and no wrong weekly planner template. It can be easily reproduced. After downloading, you can have it edited if you want to and print as many copies as you need. It makes your task easy. 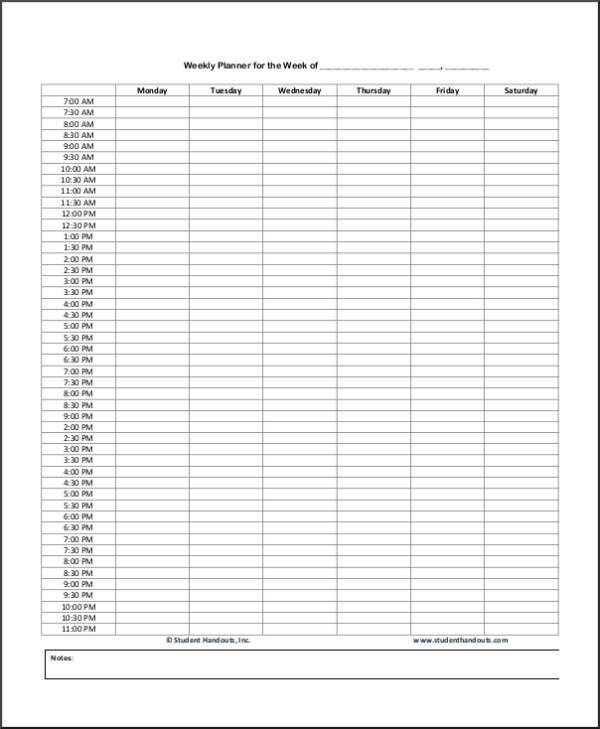 You no longer have to spend some time on creating your own weekly planner because you can now use the weekly planner templates that you have downloaded and printed. People sometime tend to become overly busy that they don’t know what to do and fail to accomplish anything in a week. This problem can easily be resolved with a plan. If you make it a point to plan for what is ahead of you every week, no matter how busy you are, you will still be able to do all of the things that you intend to do. 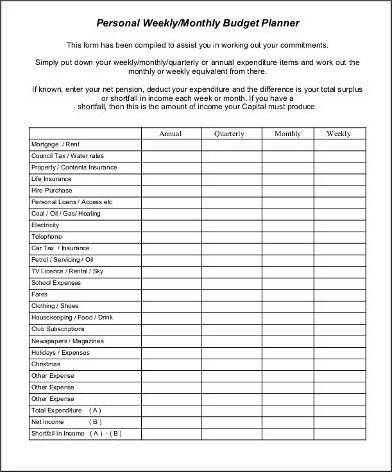 If you still don’t know how important weekly planning is, then you might want to check out the list below. Weekly planning reduces stress. It’s not easy to make a plan, but it will be harder if you don’t have one. Human as we are, we get stressed out when put into a difficult situation without a plan. Weekly planning helps you to be always prepared. If you have a plan, then you can also make it through any problem or obstacle ahead of you. Weekly planning helps you to stay on schedule. 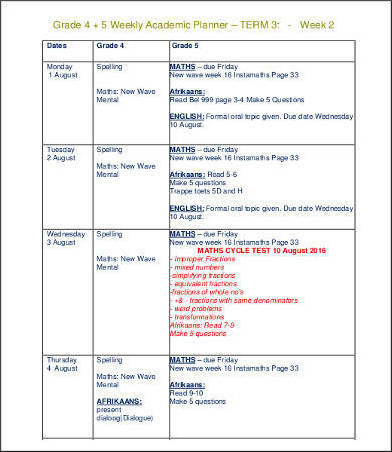 Since you will be writing down all that you have planned for the week, it will be easy for you to recall and keep track of your weekly schedule. Weekly planning keeps you organized. You are always on top of things as your plan will help you become organized with which activity, task, or schedule is a priority. This will boost your performance and increase your productivity. 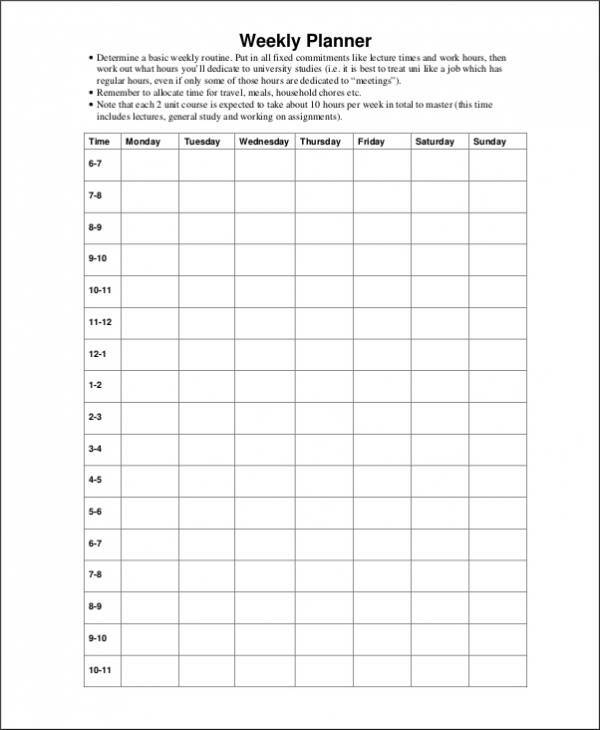 You may know how to use or how to make a weekly planner, which is a fairly easy job. The question is, are you making the most out of it? Are you using it effectively? Some of us just use weekly planners for the sake of using it thinking that it is the right thing to do. If you don’t achieve anything or if have not accomplished something, then you might be using it the wrong way. So here we present to you 7 useful tips on how you can use weekly planners effectively. Tip # 1: Determine your tasks and goals. You definitely can’t start planning if you don’t have any goals in mind. What is the reason why you need to make a plan? What is the plan all about and what is it for? If you’re able to determine these things then you will be able to start an effective weekly planner. Tip # 2: Do a weekly planning session regularly. You need to plan regularly, especially if there are a lot of different tasks, schedules, or activities for the next week or the coming weeks. Your weekly planning session will help you to always be prepared. Tip # 3: Always check your planner. In order to keep track of your weekly activities and accomplishment, you will need to check your weekly planner a lot. If you’re aware of what you need to do and what you have done, you will be able to have them complete as scheduled. Tip # 4: Use a handy planner. A small planner would be a fine choice since you can carry it around or carry it everywhere you go. It doesn’t take up much space and you can even put it in your pocket. Tip # 5: Use only one planner for everything you need to do. Keep everything that you need in one place so that if you need to look for something, you can easily look for it one place. Tip # 6: Don’t add more tasks or activities that you can’t handle. Adding tasks more than you can handle is stressful and is a big no-no when it comes to planning. It will ruin all of your plans and that is not something that can be called effective. Tip # 7: Make sure to accomplish everything you have written. Seeing that you have accomplished a lot of things will make you motivated and encourage you to do more. Being able to do more means that you will be productive and will have a long way to go.